All our courses are tailored & individual to suit you. We are one of the oldest independent dive school and club based in the Huddersfield, Wakefield, Leeds, Sheffield and Yorkshire area. We have one simple philosophy, that is to teach and guide divers through close guidance and provide the opportunities to get out and dive! All our courses are individually tailored. 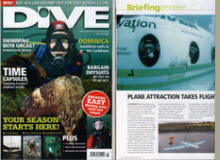 We don't do big groups or mass courses like most other dive schools. Our enthusiasm and caring approach is to teach our passion by experienced PADI Dive Instructors and professional dive educators. 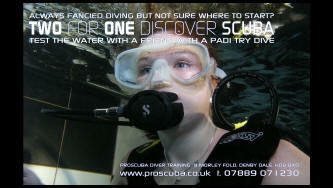 We encourage scuba diving, with dive opportunities and deep pool sessions available every week. Our crew are scuba divers who actually go diving and not just in the water for teaching - this keeps their own skills and development up-to-date. For qualified divers we run pre-holiday skill sessions in a 6m swimming pool. Practice your buoyancy and basic skills just before you go away. 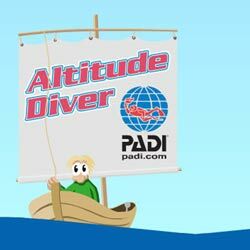 Log the experience and have PADI professional verify the dive. These sessions are also useful to get back in the water after a period of in-active scuba diving. As a dive club and school we have: No Membership, no committee, no politics, no cleekish sub groups - Just friends and a dedicated professional team to guide, teach and lead you. 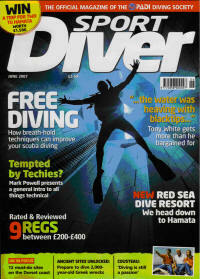 Our diving happens two or three times a week all year round. We have pools sessions at least twice a week, including the 6m deep pool at Sheffield. We meet at two locations for a social drink, one in Denby Dale, Huddersfield and one in Sheffield during the week. 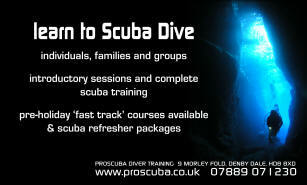 We have pool session available for scuba diving; training, development and skill practice. Our main pool night is at the Inkerman Leisure pool in Denby Dale on a Wednesday at 7.45pm. We also use the 6m pool at Ponds Forge in Sheffield most weeks. We can also arrange other pool sessions almost any night - We also have pool sessions available in the Leeds, Huddersfield, Bradford areas - flexibility is our key. We now have facilities to fill cylinders with air, nitrox and trimix to 300bar. Unfortunately we don't have a drop in service, as we are not a retail outlet. But if you telephone us with your requirements, we will sort you out ASAP with whatever you need. 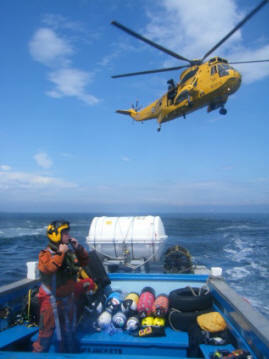 For those who dive with us regularly we can transport filled cylinders to dive sites. 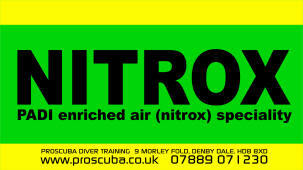 We have a nitrox cylinders available for hire. We can also arrange cylinder servicing and O2 cleaning. We also fill air-rifle, air gun and paintball tanks, just ring us to find out more. 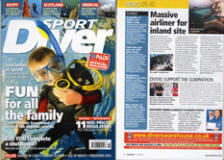 Once again our dive group is making news. 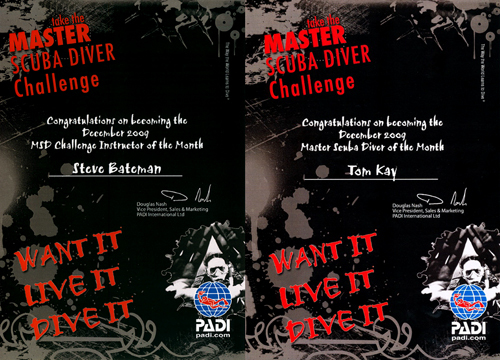 PADI choose one of our divers and one of our instructors for the Master Scuba diver of the month in December. Well done and congratulations. We have our social night on a Thursday at the White Heart in Denby Dale and Fridays we get together after the Ponds Forge pool session in Sheffield. We are not a club, but a group of friends who just enjoy Scuba Diving - everyone is welcome. 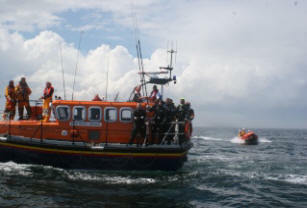 Our Diving programme includes local trips. 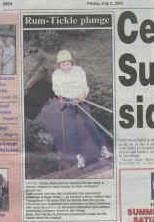 weekend activities and group holidays - we also do adventure activities, including rock climbing, caving and much more. 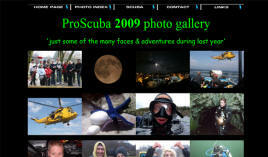 ProScuba like to have fun both on land and in the water. We have regular sessions climbing, abseiling, mountain biking, archery and even power kiting! Gift vouchers are available for any of our courses, or as a money value. These make ideal presents for birthdays and special occasions. We have discounted courses for students attending Leeds, Huddersfield, Sheffield university's and colleges. What's our scuba diving teaching area? We cover West Yorkshire, Wakefield, Huddersfield (Kirklees), Halifax (Calderdale), Leeds and Bradford. We are also on the border of South Yorkshire, covering Barnsley, Doncaster and North Sheffield. We have students from Lancashire and Manchester, Newcastle, Leicestershire - How far do want to come for flexible friendly service for your sub-aqua education? 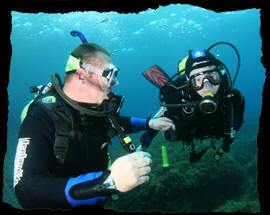 We teach PADI, BSAC, DSAT Tec Rec, IANTD and TDI scuba diving courses. 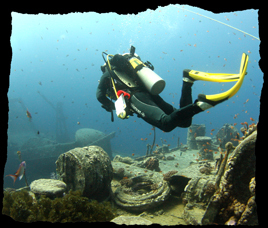 Our recreational PADI scuba courses include the Open Water diver course, Advanced Open water and Rescue Diver. PADI specialities we can offer are: Boat Diver, Cavern Diver, Aware Coral, Fish, Reef & Turtle, Deep Diver, Dry Suit, Enriched Air (nitrox), Multilevel, Night Diver, Underwater Navigator, Digital underwater photography, Wreck Diver, Search & Recovery, SMB (surface marker buoy), Equipment Speciality, Drift Diver and Ice Diver. We can also teach technical scuba diver courses, like the PADI TecRec Deep Diver, tec 40, tec 45 and tec 50 (tec40, tec45, tec50) and Tec trimix. 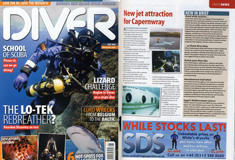 We can also do IANTD technical diving courses, including, Advanced Nitrox, IANTD Advanced Recreational Trimix Diver (ART), IANTD Technical Diver Course, IANTD Technical & Normoxic Trimix Diver, IANTD Trimix diver. 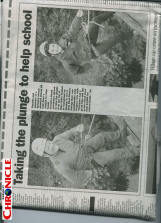 Also British Sub Aqua Club qualifications; BSAC ocean diver, BSAC Sports Dive, BSAC Dive leader, BSAC Advance diver. First Aid Courses. HSE First Aid at work, Appointed person first aid, EFR, Emergency First Response, St John's Ambulance First Aid Training. Manual Handling, Oxygen Course, Defibrillation AED courses. All Outdoors and ProScuba is in the business of training and leadership. We provide adventure and education through outdoor pursuits and scuba diving. 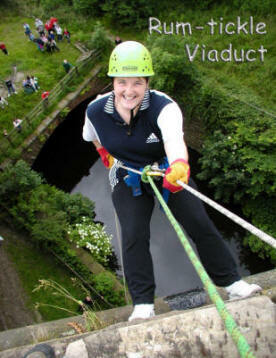 From our West Yorkshire base in Huddersfield, we offer activity packages for individuals, organisations and groups. 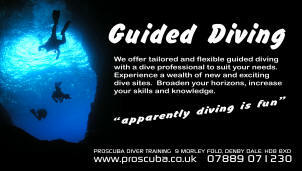 From beginners to instructor levels and more in depth technical courses. 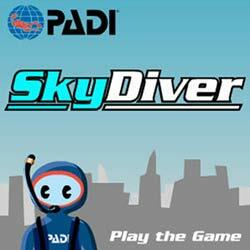 We run PADI scuba courses in Huddersfield. Halifax, Bradford, Leeds, Wakefield, Barnsley, Doncaster and Sheffield. We have pool sessions at least 3 evenings a week, including a 6 metre training pool. As well Scuba diving, we provide adventure activities, these include; abseiling, rock climbing, caving and mountaineering, mountain biking, cycling, archery, kite flying, power kiting. We are also an HSE approved First Aid course provided. 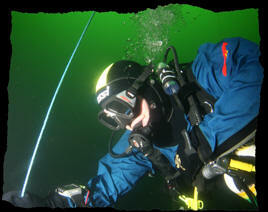 IANTD Technical & Normoxic Trimix Diver, IANTD Trimix diver.